So you’ve got a project and you’re in the market for mobile app development services, which means it’s time to source vendors. The process of selecting the right mobile app development company can be tough. You need to find a partner that is the right fit for your organization and for your particular project. 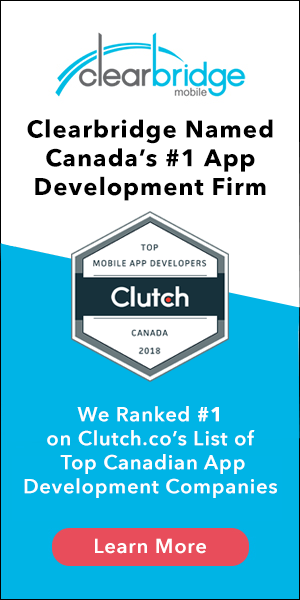 A Mobile App RFP can make it a lot easier, helping to weed out weak links and connecting you with the best company based on your needs. Have you already completed a mobile app RFP? Make sure it’s ready to submit to potential partners. A mobile app RFP is a document that both you and the app development vendor use to establish an understanding of your project’s requirements. This document becomes the statement of work for the contract. A comprehensive mobile app RFP will help you receive more accurate information regarding your specific project. You’ll also be able to find the best development partner to work with instead of choosing one that appears to be good, but isn’t actually capable of working within the constraints of your particular project. Below are 5 things you need to know to write an effective mobile app RFP that will get you the best responses and ultimately, connect you with the perfect vendor for your project. It’s rare that you will need only development services. When writing a mobile app RFP, people tend to focus too much on specific app features, instead of considering the bigger picture. Your RFP will require information beyond the app itself. The first thing you need to address is the core business problem you’re trying to solve with this product – what is it, and what is the current process you have in place for solving this problem? Also, what are your frustrations with the current process? How are you going to transform your business strategy into a product strategy? Your RFP will also have to outline your project scope requirements, in other words, the size and complexity of your project. What platforms are you looking to build for? Does your budget cover more than one platform? What about backend development – do you have existing systems like web services or CMS? It’s important to consider exactly what services you need from a vendor. Will you need consulting and business strategy services? Design and user experience ideation and delivery? Quality assurance? Technical delivery? Be honest about what expertise you require from a vendor, but also be realistic about your budget constraints. Is your Mobile App RFP missing essential information? Talk to one of our mobile experts about how a Design & Discovery Session can help you capture all of your RFP deliverables. Start a conversation. A comprehensive mobile app RFP should also ask about maintenance and ongoing support. It’s not uncommon for a mobile app to be considered “outdated” in 6-8 months if left unattended after launch. You will need updates and maintenance along the way, so you want to ensure the vendor you work with is able to provide the appropriate level of support. If you’re hesitant about including a budget range in your mobile app RFP, keep in mind that it can help you qualify responses that are a poor fit very early in the process, saving you time in the long run. Since mobile agencies come from all parts of the world and vary in size, the cost, scope, and quality of the work will also have a broad range. Including a budget can help you eliminate a large number of vendors that are not the right fit. It’s a good idea to engage with vendors before you even start writing your RFP so that they can get an idea of your budget beforehand. Mobile app agencies typically offer a number of services that range from consulting to app store delivery. You may require additional time to build and deliver your app if your project isn’t thoroughly and accurately scoped. It comes down to the degree of detail – if you send out an RFP that poses more questions than it answers, with general ideas rather than specifics, you can expect that your responses will include additional time for areas like product definition and project management. Some vendors may even choose not to submit responses if the RFP significantly lacks detail. It’s important to include a lot of detail in your mobile app RFP. To do this, you really need to understand what you want in your app. If you partner with an experienced app development company, they will make recommendations on the functionality of the app, however, there needs to be enough information to understand what is required. A detailed mobile app RFP helps eliminate ambiguity and sets the foundation for a project that is more likely to stay on time and within budget. Vendors will better understand exactly what you are looking for, resulting in a more accurate price and timeline estimation; less likelihood of unexpected issues arising during the project; and even the added advantage of saving valuable time once the project has started, which can ensure the product is shipped by the deadline. What Makes a Great Mobile App RFP? Ultimately, the quality and thoroughness of your mobile app RFP will affect the quality of the responses you receive. The more detail you provide, the more likely you are to get proposals that convey the extent of vendor capabilities, include a more accurate timeline and price estimations, and help you choose the company that is the perfect fit for your project. Once you’ve filled out your mobile app RFP template, be sure to check out our recent blog, Is Your Mobile App RFP Ready to Submit to Potential Partners?